Picture 700 fifth-graders screaming, clapping, chanting, and stomping. 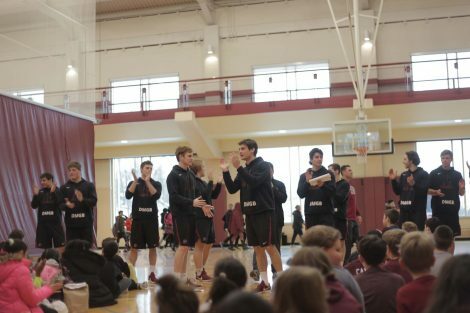 What’s caused this chaos? Several things, like visiting campus, meeting College student mentors, and watching the women’s basketball team take on a league rival. But seeing their teachers floss on the gym floor during halftime helped amplify the squeals to new heights. 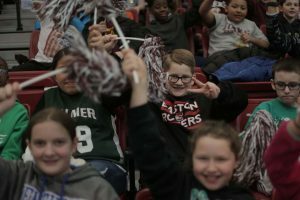 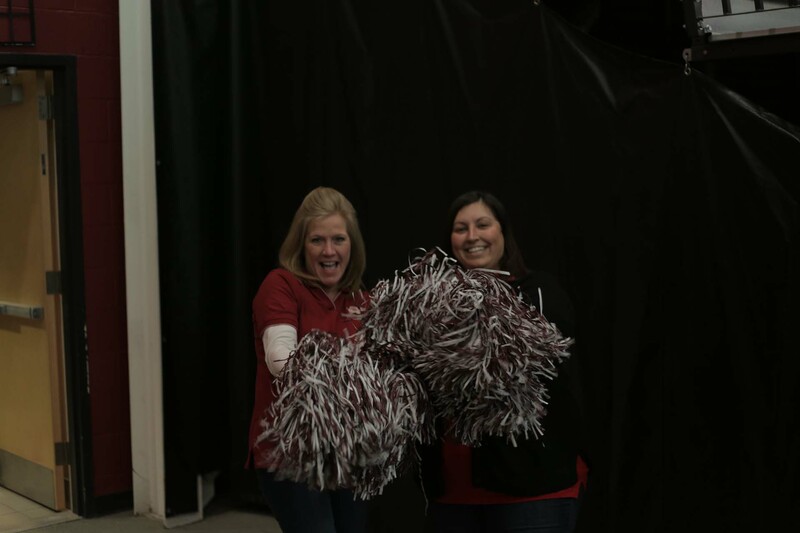 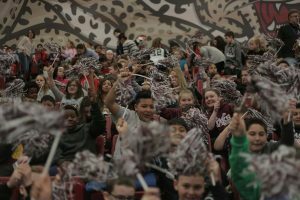 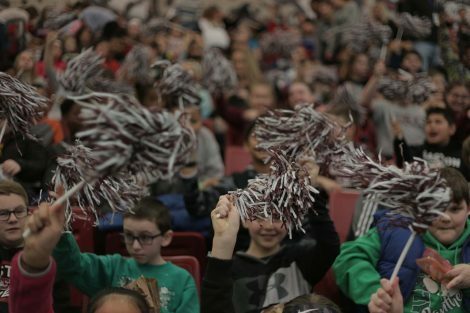 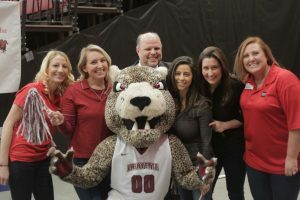 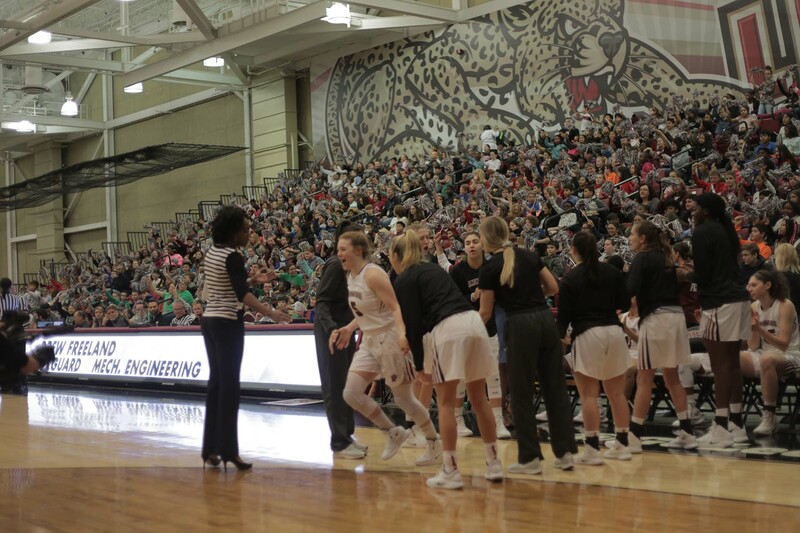 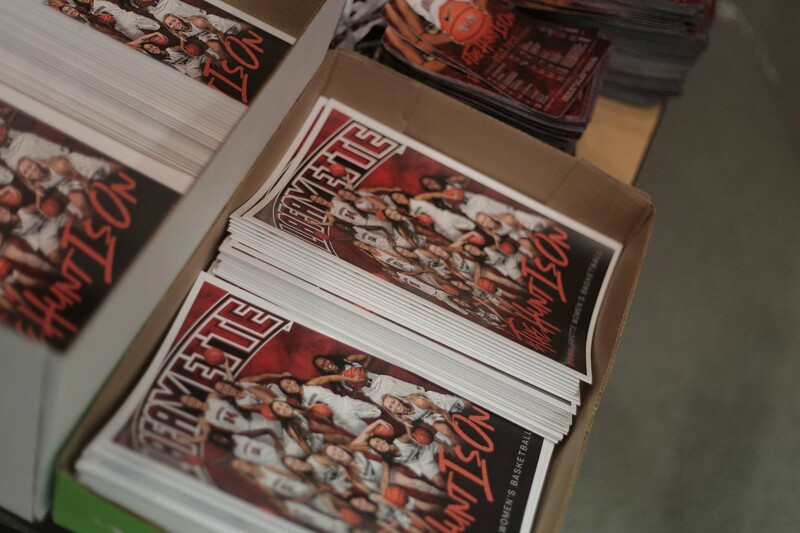 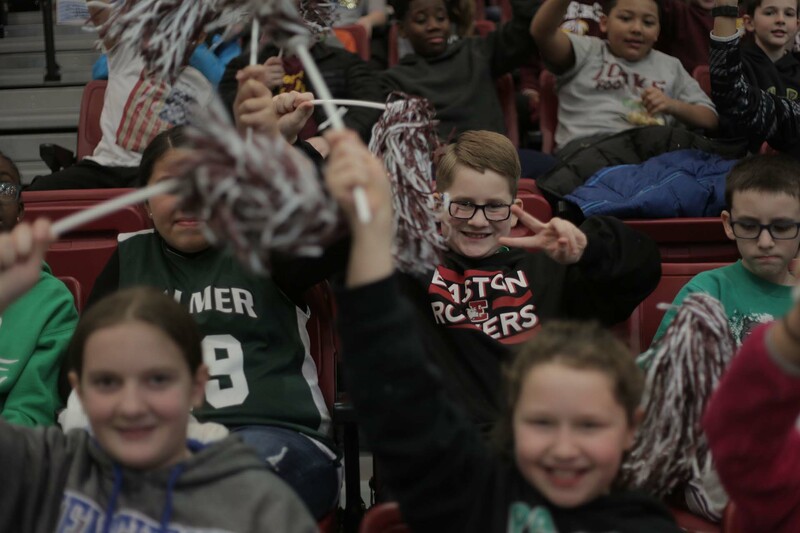 All of this was part of “School Day Game Day,” a collaboration among Lafayette Athletics, Easton Area School District (EASD), Landis Center for Community Engagement, and community sponsor Wells Fargo. The day was action-packed. 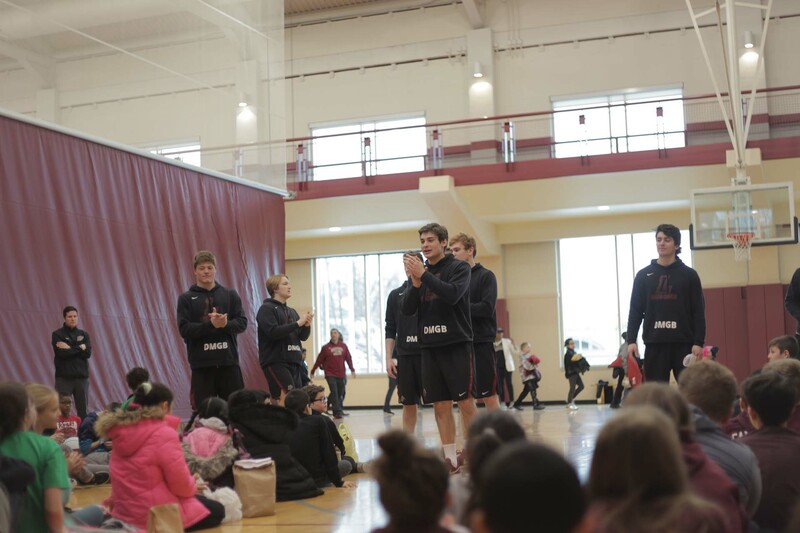 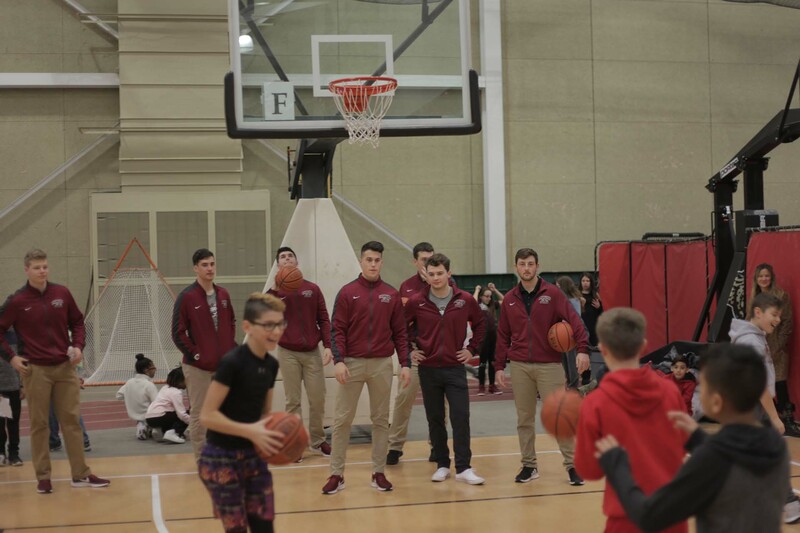 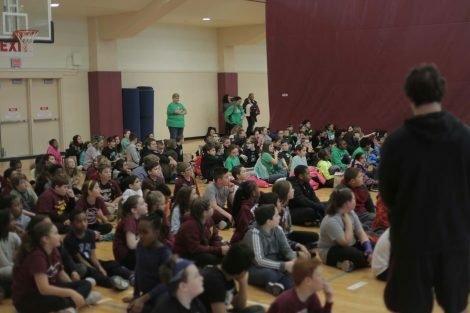 Each fifth-grader in the district came to Kirby Sports Center and was put into groups led by the baseball and men’s lacrosse teams. Each group checked answers to geography, math, and grammar questions in their basketball-related workbook; competed in shooting, dribble, and obstacle challenges; reviewed principles in the district’s “Leader in Me” program based on Stephen Covey’s The Seven Habits of Highly Successful People; learned some game-day cheers; and then watched the women’s basketball team square off against Navy. Decibel meters trembled in the red as excitement rattled the rafters. 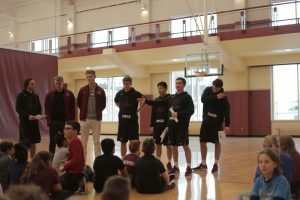 Many of the College and elementary students know each other through programs from Landis Center for Community Engagement. “They get to see their tutors, reading partners, and lunch buddies in whole new ways,” says Piazza. 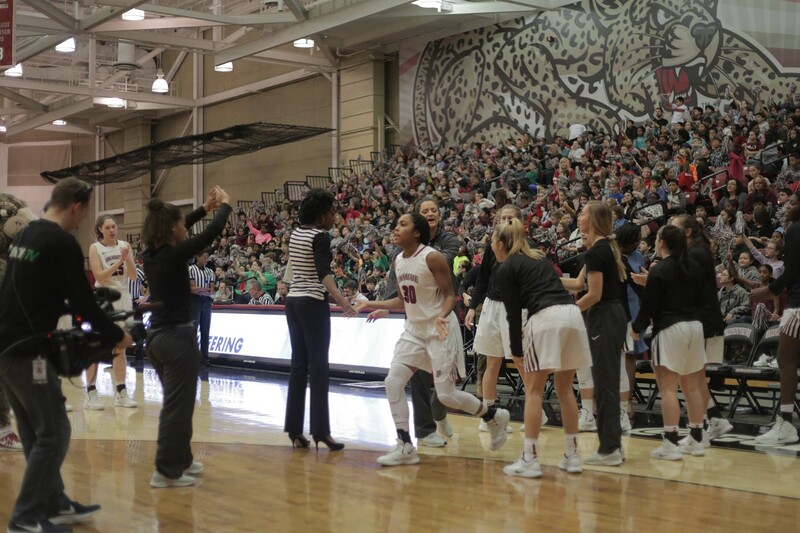 The team felt it, jumping out to a 18-8 lead by the end of the first quarter. Cheering lessons worked as students shouted “De-fense” and “La-fay-ette!” That energy ultimately lifted the team to a 55-42 win. After the game, players and students interacted on the court and in the stands. But that’s not all. 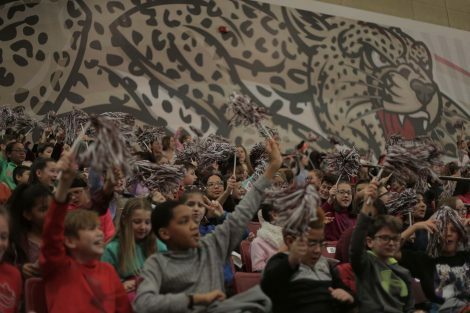 Each student went home with a cinch sack filled with school supplies, a fun book, an autographed basketball poster, and some information on financial literacy. The off-court success for this event came from the hard work of Mary Wilford-Hunt, senior associate director of corporate, foundation, and government relations. 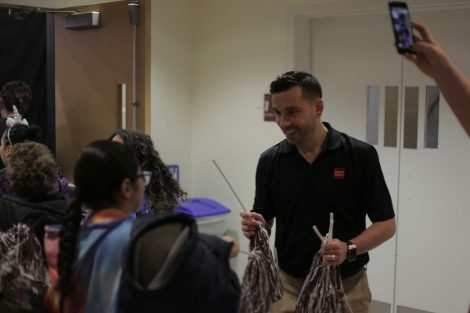 She helped bring this opportunity into view for Wells Fargo. 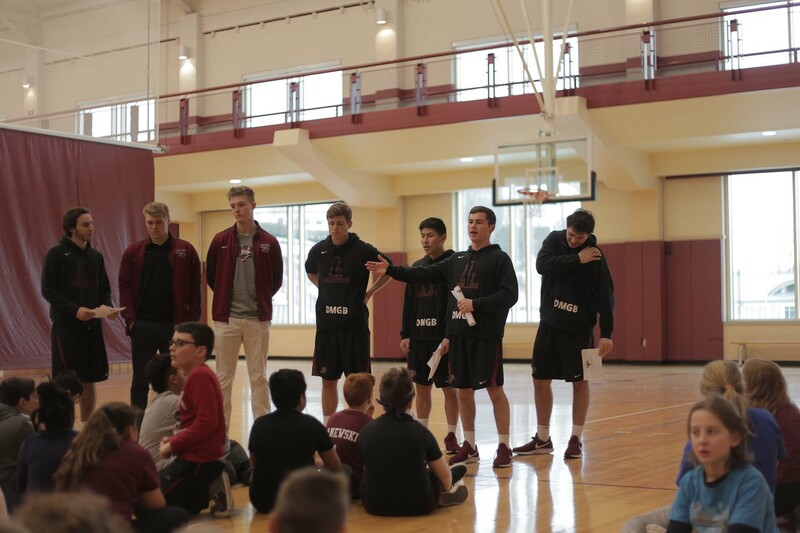 Their generosity helped make the cinch sacks possible. This day amounted to, what you call in basketball terms, a triple-double. View the game day photo gallery. Watch Lafayette Sports Network coverage.